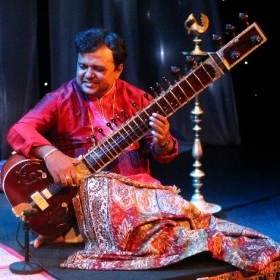 ln the domain of lndian classical music, Ashim Chowdhury has established himself as one of the most talented Sitar Players of his generation, representing the glorious traditions of Great lmdad Khani Gharana. Handling an instrument like the Sitar depends on the ingenuity and dexterity of the player. Ashim's unique talent and acuity have won him great accolades. Ashim has always been passionately involved in music. He was initiated into music by his father Shri Shibu Chowdhury, a renowned tabla player. At the age of five, Ashim took up the Sitar under the tutelage of eminent Sitar Maestro, Late Ustad Beniamin Gomes. ln 1985, Pandit Bimalendu Mukherjee, a doyen of the lmdad Khani Gharana, took Ashim under his wings. Ashim has received numerous awards and honour in this field of art, to name a few, West Bengal State Music Academy Award, the prestigious ”SURMANI” title from Sur Shringer Samsad, Mumbai, ”Maharishi Gandharva Ved” Award from Delhi, ”Sangeet Alankar” from Gandharva Maha Vidyalaya etc. He is an established Grade empanelled artiste of the lndian Council for Cultural Relations (ICCR) and is also an 'A' - graded Sitar Player of All lndia Radio and Dooradarshan. He has been honored as a judge of A.l.R. and his Sitar featured in the signature tune of DD Agartala. Ashim is a regular performer in numerous conferences and concerts around the world. Ashim will be accompanied on the tabla by the renowned Indian percussionist Asish Paul. Auf dem Gebiet der indischen klassischen Musik hat sich Ashim Chowdhury als einer der talentiertesten Sitarspieler seiner Generation etabliert, der die ruhmreichen Traditionen der großen lmdad Khani Gharana (Schule) repräsentiert. Der Umgang mit einem Instrument wie der Sitar hängt vom Einfallsreichtum und dem Geschick des Spielers ab. Ashims einzigartiges Talent hat ihm viel Anerkennung eingebracht. Ashim war schon immer leidenschaftlich in Musik involviert. Er wurde von seinem Vater Shri Shibu Chowdhury, einem renommierten Tablaspieler, in Musik eingeführt. Mit fünf Jahren begann er Sitar unter Anleitung des Sitar-Meisters Ustad Beniamin Gomes zu erlernen. Im Jahr 1985 nahm Pandit Bimalendu Mukherjee, ein Doyen des lmdad Khani Gharana, Ashim unter seine Fittiche, von ihm erlernte Ashim diszipliniert Ragas. Ashim erhielt zahlreiche Auszeichnungen und Ehrungen, wie den West Bengal State Music Academy Award, den Titel "SURMANI", oder den "Maharishi Gandharva Ved" Award. 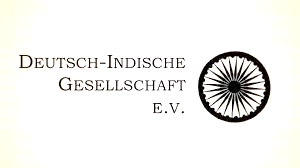 Er ist ein anerkannter Künstler des Indischen Rates für kulturelle Beziehungen (ICCR) und ist ein 'A' - Sitarist von All India Radio und Dooradarshan TV. Ashim tritt regelmäßig auf zahlreichen Konferenzen und Konzerten auf der ganzen Welt auf. Ashim wird auf der Tabla von dem renommierten indischen Perkussionisten Asish Paul begleitet.